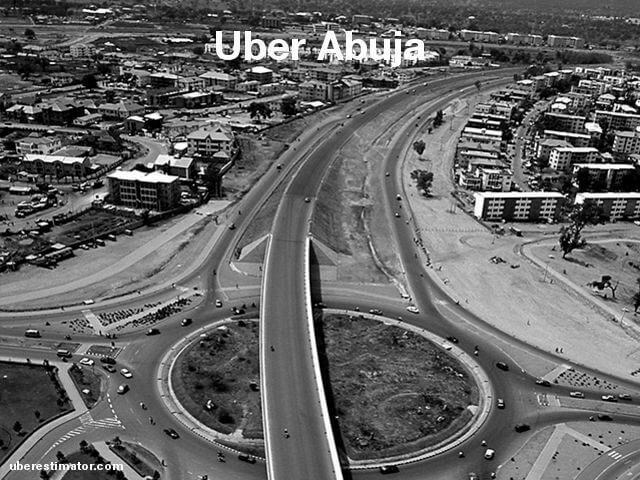 Last March, Abuja, the Capital of Nigeria, became the 400th city where Uber has launched operations. However, it was not the first city in the country as Uber started operations in Lagos 18 months earlier. A couple of weeks ago I was in Abuja for business reasons. I spent there almost two weeks. The hotel the company booked for me is about 20 kilometers (or 12.5 miles) from their local office which, by coincidence, is in the same co-working hub as the local Uber office. Now, Abuja has plenty of local taxis. But one problem foreign visitors face when hailing them is the lack of meters. This just means that one has to negotiate and agree with the driver on the cost of the ride. If one does not know the city, then charges can vary substantially. Being that as it may, the company enticed me to use Uber. And I could share most rides with colleagues in Abuja. So every morning I was taking an Uber to go to Abuja’s Uber office. And once at the office, I could see plenty of people, mostly men, lining up to join Uber. I made over 20 Uber rides during my stay. And in most cases, I spoke to the drivers and asked them about their “Uber experience”. Here is what I learned from them. Be aware that, although my sample is random, it is also small. My observations and analysis should thus be taken in that context. As in many other countries, there are two types of Uber drivers in Abuja: Those who own the cars they drive; and those who work for the owner of the vehicles they use. What varies is the distribution among these two categories. About 75% of those I spoke in Abuja fall into the latter category. And among them, only one of them told me he was really “happy” about Uber. Indeed, he was a semi-professional driver that had been working in a truck company but had not been paid in the last 7 months. He learned about Uber through the press, applied and passed all tests with flying colors – and could even select a driver-friendly owner with a brand new car. He is now planning to save some money, get paid for the 7 months of work he is owed and buy his own car to pocket most of the income generated by his driving. Most other non-owner drivers were not as excited. They work a least 12 hours to make ends meet. The issue here is simple: They only get 20% of every ride, as Uber takes 25% (in real-time, once the ride is completed) and car owners keep the remaining 55%. Uber also offers low-cost rides compared to regular taxi fares. Thus, net income for this group of drivers is a direct function of the number of hours they work. One driver told me he had to work an average of 16 hours a day to get the income he needs to support his family. And no, my sample of drivers did not include any women. Uber drivers who own the cars they drive are more educated and use Uber to supplement other sources of income. Most of them are professionals (I met an accountant, a PR manager, an engineer, etc.) and have a more nuanced view on Uber. This is also the case in other countries by the way. None of the drivers in this category were terribly excited about Uber. Most complained about the actual revenue, even if that was 75% of the total ride. They also argued that they were having to work long hours, 12 or more, to generate the supplemental income they were expecting. A couple of them were considering dropping Uber altogether as the extra work does not yield proportional earnings. Curiously, while in Abuja The Economist published a special report on the new tech giants, the so-called superstars (Uber included) that are becoming too big and too powerful. I am glad to report that the publication agrees with the recommendation of our incisive Uber driver: Indeed, more competition is what we need!